Does high porosity hair need protein all the time? I have high porosity hair and I was wondering are protein needed all the time? I usually do a protein treatment once a month...sometimes my dc has both protein and moisture. I did a protein treatment this month and my hair was so tangled at the roots. I did a moisture treatment after too. My protein treatment of choice is the Mill Creek Botanicals keratin conditioner. It has hydrolyzed keratin as the 3rd ingredient. 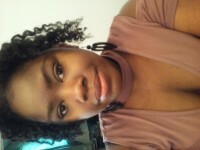 My moisture treatment is Curl Junkie Rehab. I had the hardest time detangling my hair. This has never happened to me before not even with Aphogee 2 step. Help!!!! what could of went wrong! It is a fine line between moisture and protein for us with high porosity curls. It is something I am struggling with. It sounds like you went to far to the protein side. I think you need more moisture. I generally don't do protein treatment for my hair, but add protein in small doses regularly. I use Colorful Neutral Protein Filler diluted with water in a spray bottle that I can use when I feel I need more protein. It also allows me to do spot treatments for areas that need more protein than other areas. Thank you so much! I was so scared thankfully I only shedded a little hair while detangling...but I thought I was ripping my hair out lol! The whole balance thing can be tricky, but I do find I need some form of protein every wash day. What I normally do to balance it all out is alternate between washing products and styling products. If I wash with something that has protein in it, then I'll make sure my stylers don't, or vice versa. Like WavyKfromNJ, I use the CNPF mixed with water in a spray bottle if I think the curls need a boost in between.